Sensor data, photos, contacts: Spotify wants it all. Spotify wants to cozy up to you and find out more about what you do, where you go, who your contacts are. Does that make you uncomfortable? 3.4 Location and sensor information Depending on the type of device that you use to interact with the Service and your settings, we may also collect information about your location based on, for example, your phone’s GPS location or other forms of locating mobile devices (e.g., Bluetooth). We may also collect sensor data (e.g., data about the speed of your movements, such as whether you are running, walking, or in transit). 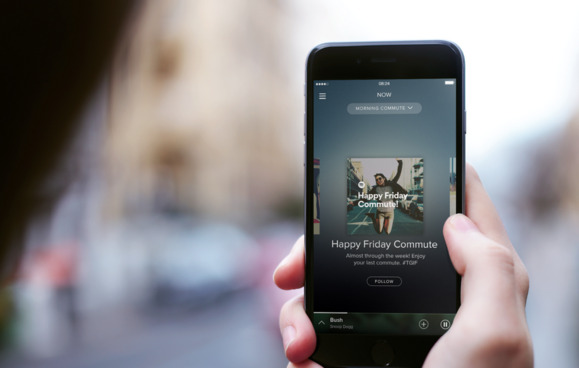 Spotify also pointed to its new (and beloved) Discover Weekly personalized playlist as an example of the kinds of features it plans to add down the line.